I recently stayed at my company’s president’s house for 18 days during my business trip, and shot two videos before and after of his son’s transformation, when I arrived Chanler didn’t take his greens and reds for a few days and got some acne breakouts… However after a few days of getting back on track, the transformation is amazing! Take a look at the HUGE Before/After difference! 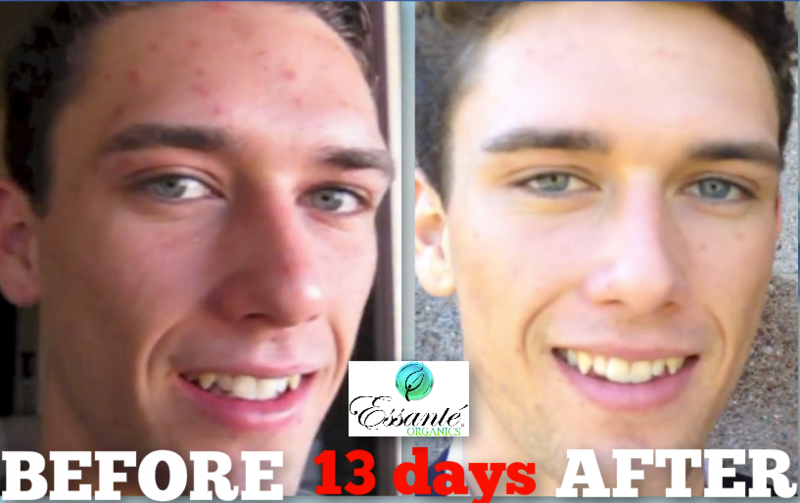 Chandler Levine controls his acne breakouts by taking Essante Organics Earth Greens, Super Reds in the morning to treat it from the inside and applying Z3 (Step 1) repair cream on his face at night to treat it from the outside. French video guru got 634 leads in 3 weeks starting, watch HOW! Mistake people make when selling!